Substrate Bonder SB100 is designed to develop strong, highly flexible bonds between Solid Surfaces, Engineered Stone, Granite and the materials such as MDF, Plywood, PVC, HPL, and ABS. Substrate Bonder SB100 greatly reduces assembly time, curing in as little as 15 minutes. 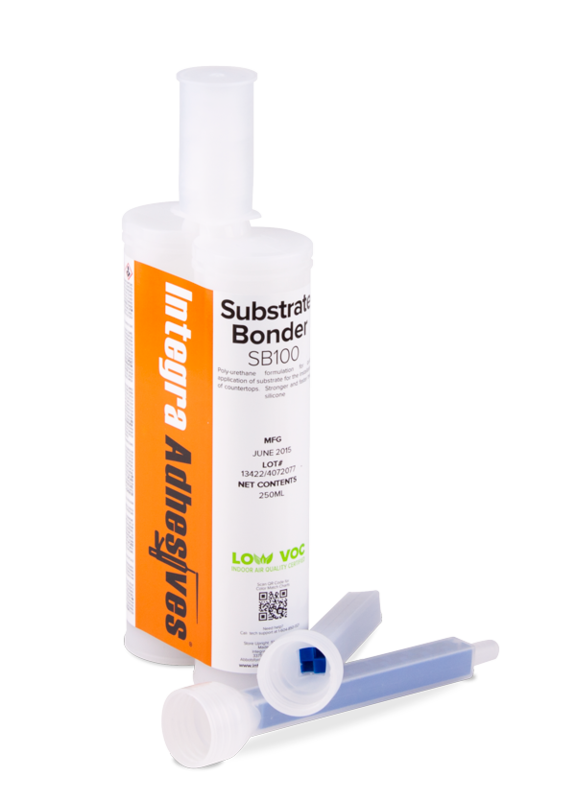 Substrate Bonder SB100 is packaged in a 1:1 ratio 200ml cartridge and can be used in many applications that would normally require silicone. Substrate Bonder SB100 is not UV stabilized and should not be used for applications exposed to sunlight, or where color stability is a factor.